If you are interested in the sea, and would like to have new experiences at the unspoiled lands, then the site of “Tu Binh” would be the ideal choice for your journey to Vietnam. Binh Ba is the small island, located about 60 km from Nha Trang, and belonging to Cam Binh Commune, Cam Ranh city, Khanh Hoa province. To get to Binh Ba island, you have to depart from Ba Ngoi wharf to have boat trip (you need to note about time departure to avoid missing boat). However if you travel with a group of many people, you can hire private canoe for a safe trip and time-saving as well. In the period from March to September is the best time for visiting Binh Ba island. Here you would have a perfect holiday in the convenient hotels with the price ranging from 70.000VND (3.14 USD) per person on normal day. Besides, home – stay is also the suitable choice for saving expenses. Coming to Binh Ba, you will have the chance to enjoy famous seafood including lobster and fresh seafood with the cost from 1 – 1.8 million VND (44.81 - 80.66 USD) / lobster. There are two types of lobsters depending on your demand. Several exciting activities for you to entertain in Binh Ba island such as visiting bathing beaches, or diving and snorkeling for sightseeing coral reefs. Here you will have your own space on the white sandy beach, blue water, and play with cool waves. 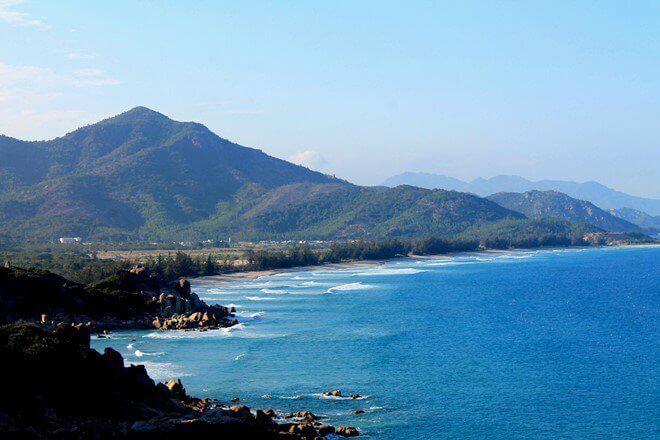 Besides, don’t forget to admire the beautiful sunrise on Bai Chuong or Chuong Beach, Bai Nom or Nom Beach – the ideal place for couple and Bai Nha Cu – the best place for taking photos. All of them are the main beaches on Binh Ba Island with the romantic sceneries and clear water. Especially let’s experience a fantastic night together the locals with interesting activities such as go fishing, and shrimp, etc. 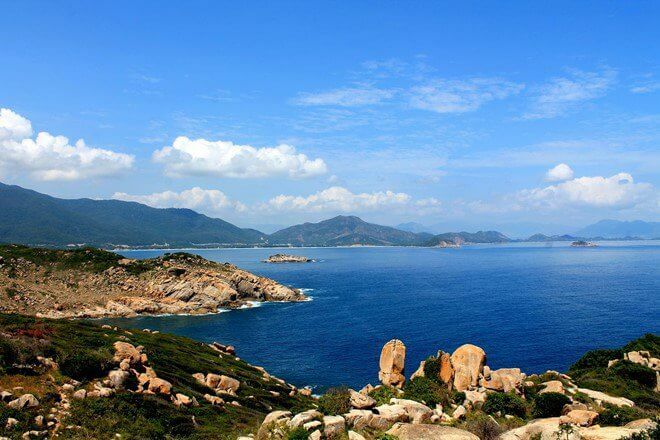 Binh Lap island belongs to the gulf of Cam Ranh city, Khanh Hoa province. It is best known as Maldives in Vietnam thanks to the stretching white sandy beaches, the crystal-clear turquoise of water. To get to Binh Lap island, you can depart by car, or if you want to have an adventure, motorbike would be a perfect choice. However, Binh Lap tourism is still in poor condition. Thus there are not many accommodations for overnight; especially resorts have the price very expensive. Tent rental is a smart choice for two persons on the beach with the price ranging from 400.000 VND (17.92 USD) /night or you can stay overnight in the popular accommodations. Binh Lap island is not only famous for tasty seafood but also famous for renowned chicken. Also, there are many beautiful beaches for sightseeing such as Binh Chau Beach, Ngang Beach, Con Beach. Binh Tien beach belongs to Cong Hoa commune, Ninh Hai district, Ninh Thuan province. 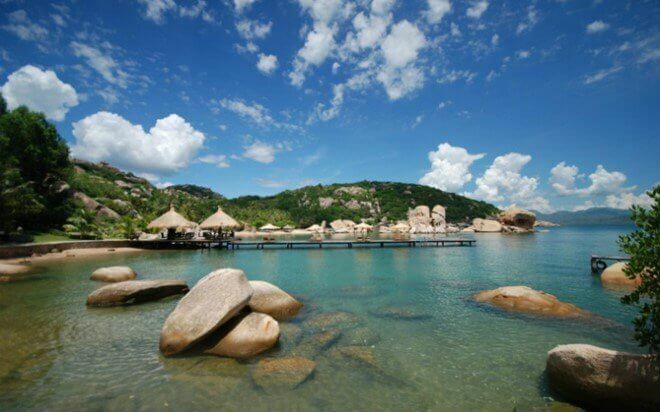 Located about 70km South – North of Nha Trang, Binh Tien Beach enchants visitors by the pristine beauty of stretching white sandy beach, cool water. Besides, when coming to Binh Tien beach, you will be impressed by the winding pass, lush forests on limestone mountains. If you travel with couple, don’t forget to take a walk by foot on the beach for admiring the beautiful sunset and feeling the breath of the sea. This would be the fantastic moment during your stays. Moreover, camping is also the most relaxing activity in the quiet space of the beach. 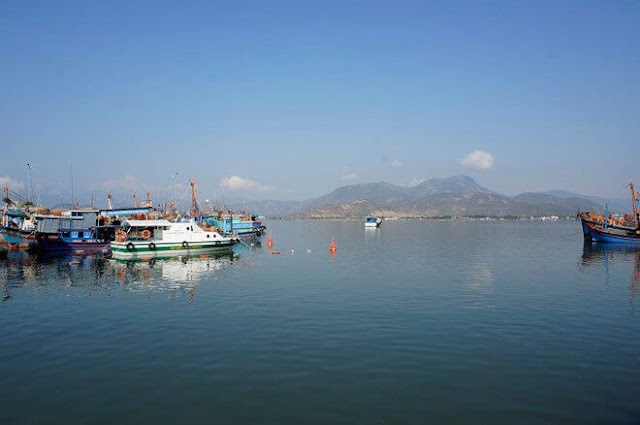 Binh Hung island or Ty/Chut island is one of the three islands belonging to Tam Binh islands in Cam Binh commune and Cam Ranh city, and nestled at the foot of pass connecting Binh Tien to Vinh Hy. You can visit Binh Hung island all round year, except for September and October because that is the stormy season. There are many exciting activities for entertainment, especially a fire camp on the beach. Accommodation is available such as home – stay at the fishing village, or floating raft house on the water. Lobster is the famous seafood at Binh Hung island – the same as Binh Ba. Besides, you should try other special seafood with strange and delicious taste including “cầu gai, nhum”. Kinh Beach is the fantastic place that you shouldn’t miss during your stays at Binh Hung island. It is very suitable for the holiday of family and children to relax and entertain in the cool water. If you would like to discover further, Trang cave is also an ideal site with the stream of fresh water.